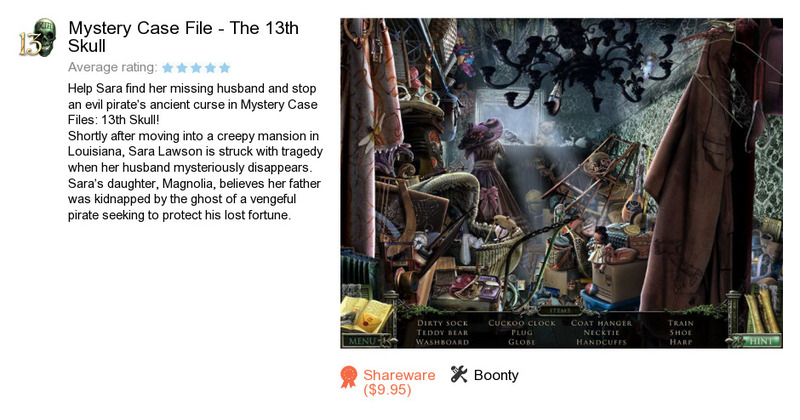 Mystery Case File - The 13th Skull is a program developed by Boonty. We know of version 1.3. Version 1.3 is available for download at our site. Mystery Case File - The 13th Skull installation package has a size of 282,226 bytes. Boonty also publishes Trinklet Supreme and Mahjongg Championship.